For Valentine’s Day, I decided a delicious dessert would be appropriate. I was also really tired, so I wanted something easy to make. These could not be easier. They aren’t weird or that interesting, but they are totally yummy. 1) Blend together 1 cup blueberries, 1 cup water, and sweetener (I used 2 tablespoons sugar). I used frozen blueberries – this would work with fresh as well. 2) Add 1 packet Agar Agar and bring to a boil. 3) Pour into your serving dishes and freeze for two hours (mine were fine after 1.5 hours). 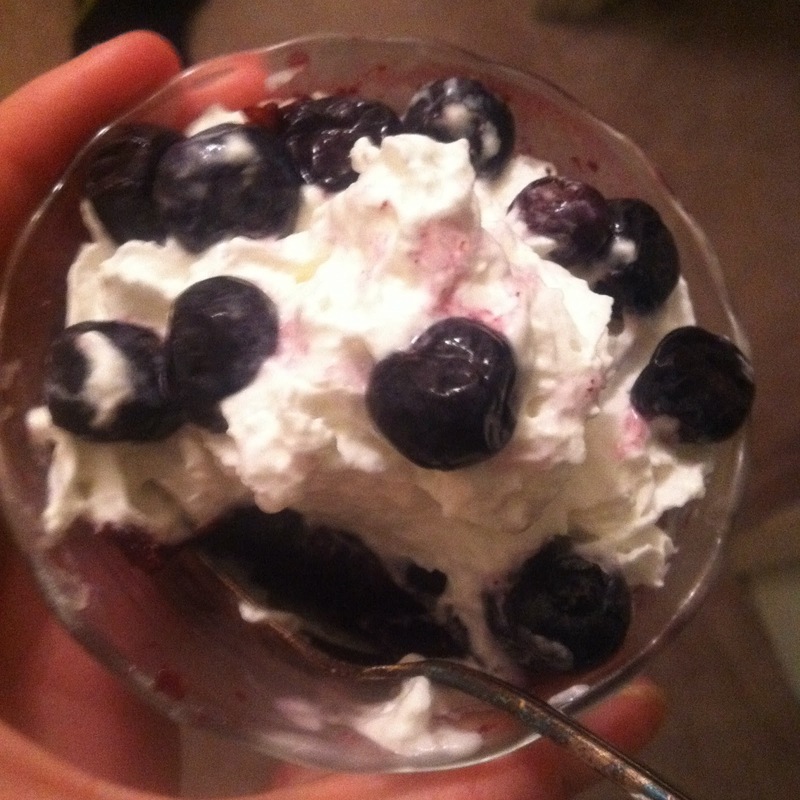 4) Top with whipped cream and more blueberries and dig in! Mine made three dessert sized portions. *This is basically a way to make healthier jello where you control what goes in it. I would imagine this technique should work for most fruits – 1 cup water, 1 cup fruit, sweetener, and a packet of Agar Agar. It has a texture similiar to jello, but a bit thicker.